Here I am again! With the paintings ready and so many great things to share with you! 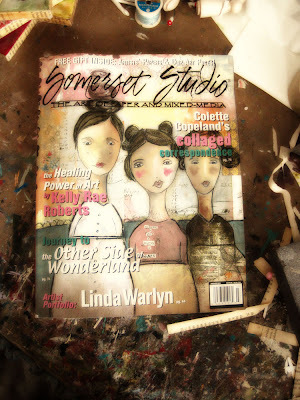 Somerset Studio in the All things Alice edition is out! I made the "With one palette" section this time... and guess what? Of course, It was about Alice! The originals from this article won't be on sale in this update because I haven't gotten back yet, but as soon as I do I'll be letting you know and posting them here. I'm so excited! Couldn't be given a better theme! 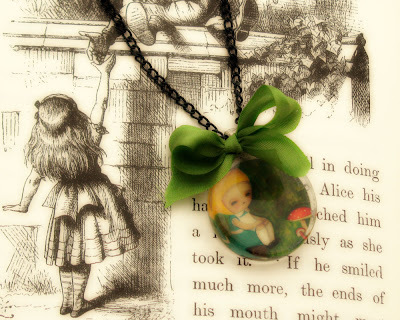 Super cute round glass necklaces with pure silk ribbons. Long glass tiles with huge colored bail chains. And with the one in the magazine too. 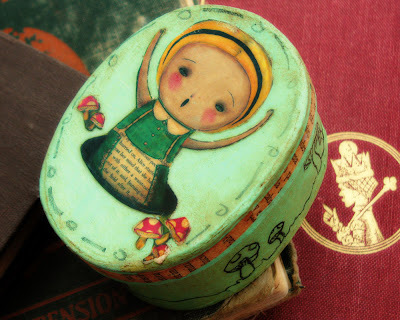 And stitched ACEOS on playing cards...and more! The update will be tomorrow Thursday 4th at 12 pm EST at my Etsy shop. HERE! love it love it love it!!! Alice really is EVERYWHERE isn't she!!!! Love the idea of painting the card. Please let us know where you will be selling the originals - etsy? Such beautiful bright cheery colors! 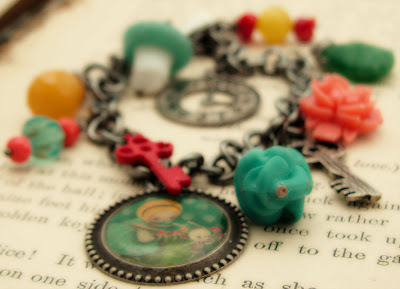 i LOVE the queen of hearts bracelet! and i will be running out this weekend to buy the magazine! congrats! you SHOULD be proud of yourself! you are AMAZING!!!! 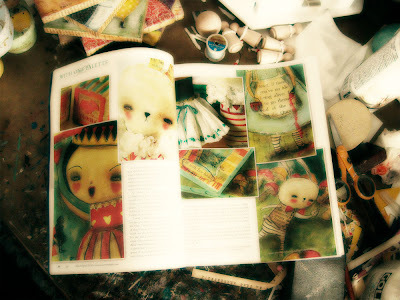 i am seeing your work in all kinds of magazines. 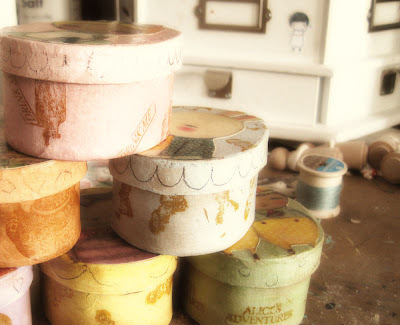 i love your alice in wonderland items -soooo pretty. absolutely amazing! my very most favorite thing ever is alice and this entire post makes me SO happy! YAY! i can't wait to see everything tomorrow! congrats! this new work is absolutely stunning!! the art is so colorful and happy. i saw your interview on Crescendoh and enjoyed it very much.. congratulations on all the lovely press, you deserve it! 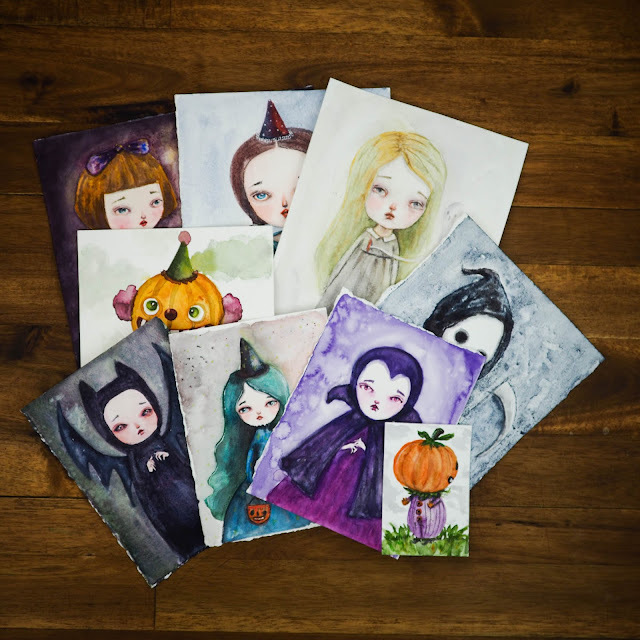 Oh girl...I absolutely love these, the necklaces, the aceo's and paintings are amazing...Its bursts with such energy and fun. Everything is so amazing and beautiful. Love your talent. Wow what a truly inspiring post. Congratulations on the magazine!! 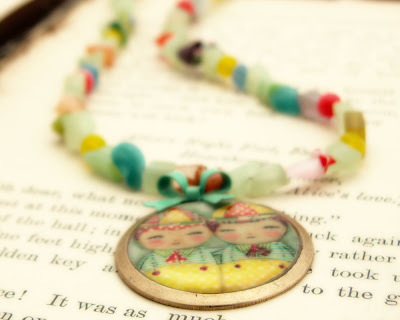 I love your pendants and bracelets, well everything!!! Gorgeous!!! (applauses) I agree you are so inspirational... this is a truly amazing work!!! 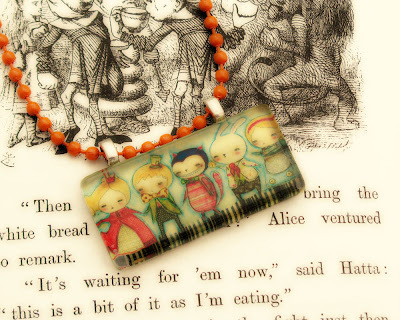 So beautiful, I LOVE Alice through your eyes!! Wow your Alice stuff is truly amazing. Check out my "Alice" rant on my blog. Llandudno is not far from where i live, can u imagine why anyone would allow this beautiful building to go to rack and ruin? There were so many things here that pointed to evidence that Lewis Caroll actually stayed here and wrote about Alice here - it's quite sad that it was demolished!!!! 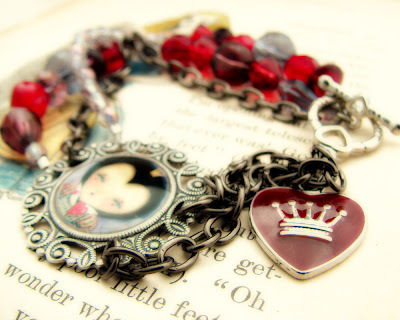 Thanks, Danita, I just got the Queen of Hearts bracelet. I really mean it when I say I want something *LOL*. I can't wait to wear it. And the article in Stampington is WONDERFUL! They are gorgeous! Well done you! I'm sure you will sell out in days! 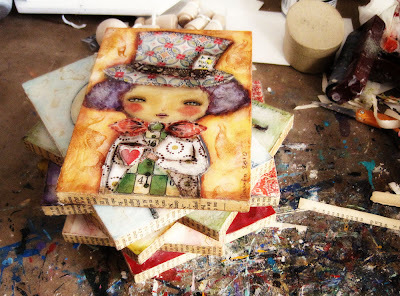 I am utterly in love with your Alice in Wonderland paintings. The playing cards... so clever! Oh and the bracelet! Love, big, big love. wow, you are an amazing artist! first time visitor, I hopped over from crescendoh. love your blog! 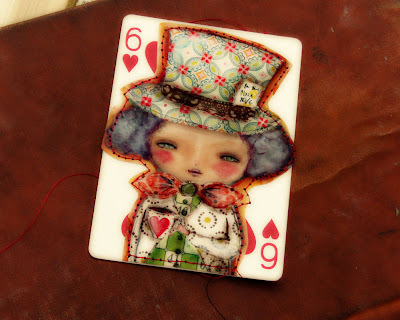 I especially love the characters stitched on the playing cards. Very lovely collection! Who doesn't love Alice? Your work is so beautiful Danita.